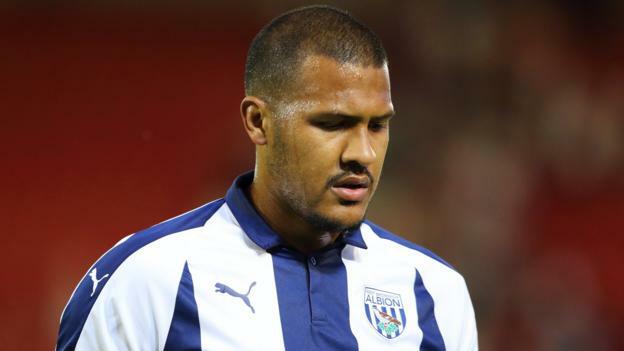 Newcastle have signed striker Salomon Rondon from West Brom on a season-long loan, with Dwight Gayle heading to the Championship side on the same deal. Venezuela international Rondon, 28, scored seven Premier League goals for the relegated Baggies last season and becomes Newcastle’s sixth signing of the transfer window. Gayle, 27, scored six league goals last season as the Magpies finished 10th. “I am delighted to sign Salomon,” said Newcastle boss Rafael Benitez. Rondon said West Brom would “forever be in my heart” but was “honoured to be joining one of the biggest clubs in the Premier League and a team whose fanbase and history are well known the world over”. Newcastle signed Japan striker Yoshinori Muto on Thursday, following the arrival of Switzerland defender Fabian Schar from Deportivo La Coruna last week. Gayle scored 23 goals in 32 appearances when Newcastle won the Championship in 2016-17. “This deal was in the best interests of both clubs,” said West Brom head coach Darren Moore. West Brom were beaten 2-1 by Bolton in their Championship opener on Saturday, while Newcastle begin their Premier League campaign against Tottenham on Saturday.